Beautiful 3 bedroom 2 1/2 bath located in Ironwood Country Club minutes from the Golf Course. 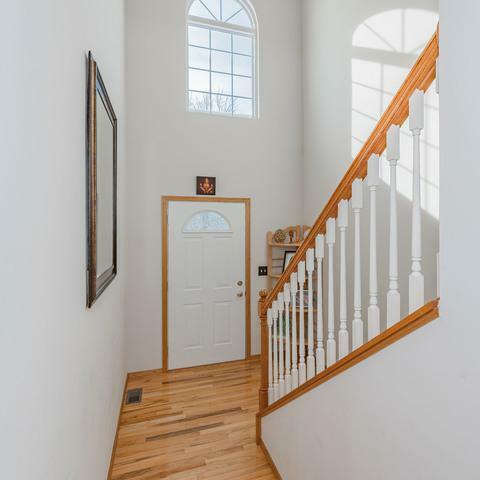 2 story Hardwood entry. 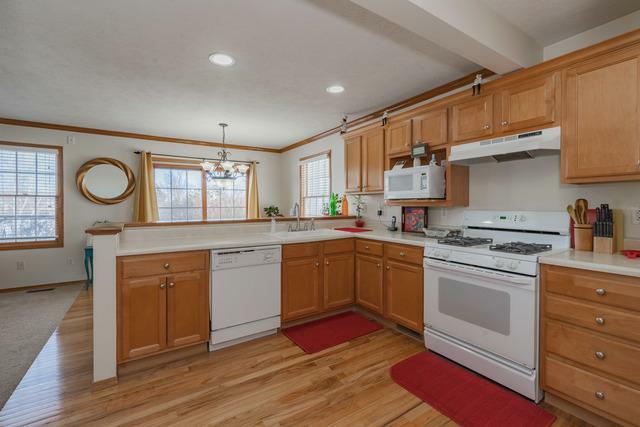 Hardwoods in Kitchen and eat in area. Living room with gas fireplace. 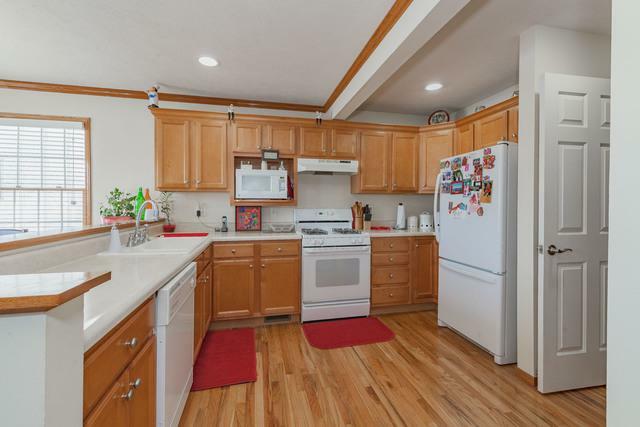 Kitchen with all appliances and washer and dryer stay! Huge master with private bath and walk in. Both other rooms are big. finished family room with projection screen that can stay. Large storage room with Freezer that will remain. 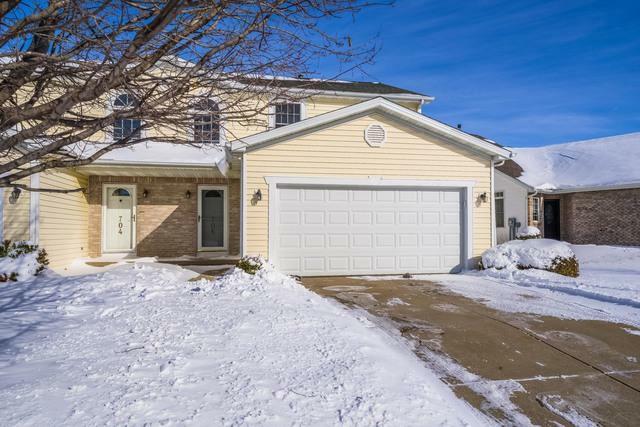 large 2 car garage with recessed area for more storage. Patio and open area behind. New roof in 2014, water heater 2014. Passive Radon installed.